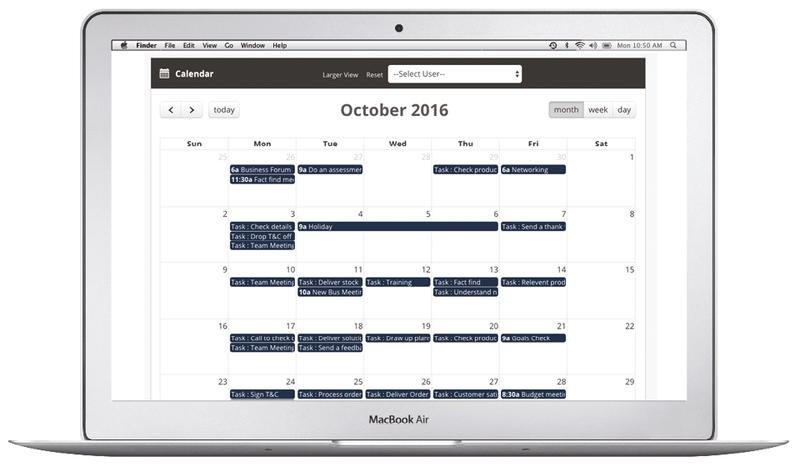 You can create appointments and events on your calendar and team members’ calendars, view team members’ calendars and send email notifications of up and coming events. 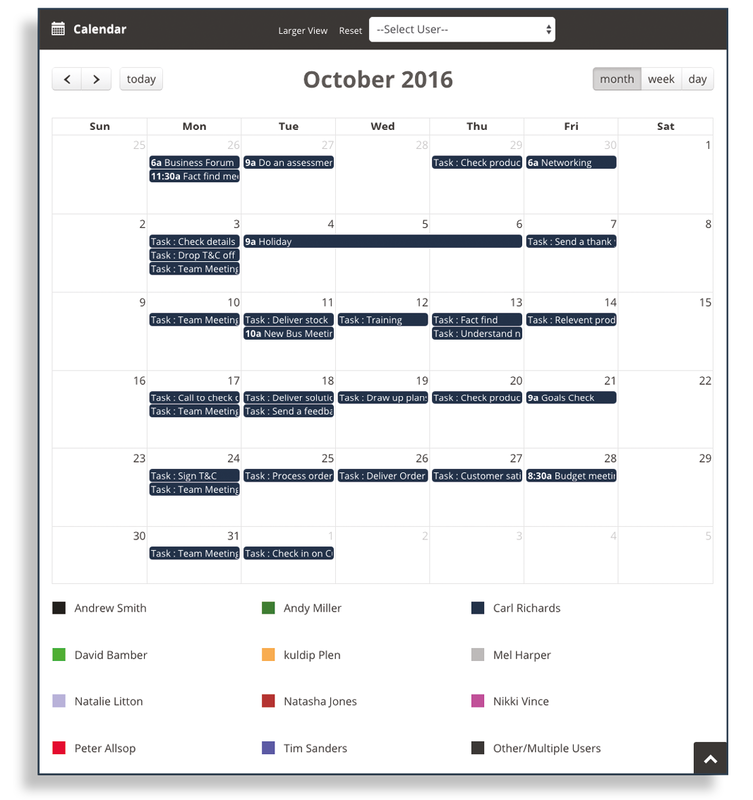 Within this function, you can create and schedule appointments and events in both your and your team members’ calendars. You can even view your team’s calendars and send email notifications of upcoming events. The event appears in your own dashboard and if they are related to a contact, the event will appear in the contact’s dashboard as well. Having a complete history log of all of the activity and communications with a particular contact, will ensure that everyone in your team can be kept fully up to date and enable them to carry out your business requirements in a professional manner. Add appointments and meetings into your calendar and reference them to your customers so they appear in their dashboards too. If a meeting is a regular one you can add recurring entries so you don’t waste time adding them individually. 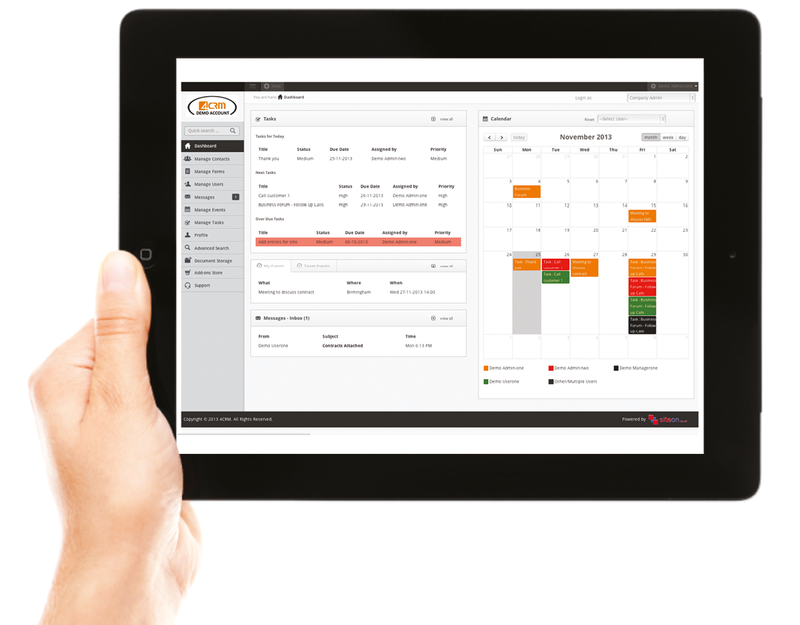 Set reminders so no one misses a meeting again and you can even download a csv report giving details of the events for you and your team.